Who ever imagined peach trees would thrive in central Milwaukee? Troubling poverty, low educational achievement, plagues of predatory lending, and unacceptable unemployment rates created a perception of scarcity. Sixteen years ago, community residents Sharon and Larry Adams recognized Walnut Way’s prospects for abundance and formed Walnut Way Conservation Corporation with their neighbors to organize for change. At first, neighbors tackled urgent community challenges, working together to restore the neighborhood and drive out crime. 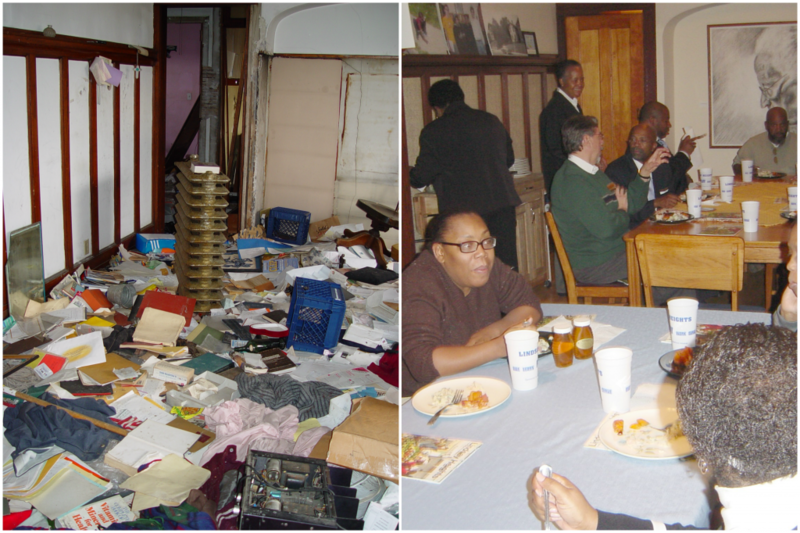 In 2000, Walnut Way incorporated as a nonprofit with a board assembled from engaged neighborhood residents. Since then, we have united neighbors in collective action, planted orchards and gardens in vacant lots, and cultivated a spirit of enterprise. Our work has grown to include the quality of life plan for the Lindsay Heights Neighborhood, bounded by Interstate 43 to 20th Street and Walnut Street to Locust Street. The Walnut Way Center in the late 1990s. Boarded up and slated for demolition by the City of Milwaukee, neighbors came together to restore this dilapidated home into an active community center where residents participate in community development. But then, all around us, day or night, we could see prostitutes walking up and down, sometimes doing their business in the back seat of a car right on the street … even next to the elementary school when the children were at play. Cars stopped in the middle of the street, drivers buying drugs from young men, or running in and out of houses where drugs were sold. Sporadic gunfire was heard every day. There were vicious assaults, sometimes killing. Three Police Captains advised me (a community development worker) to stay out of the neighborhood, even during the day … too dangerous. 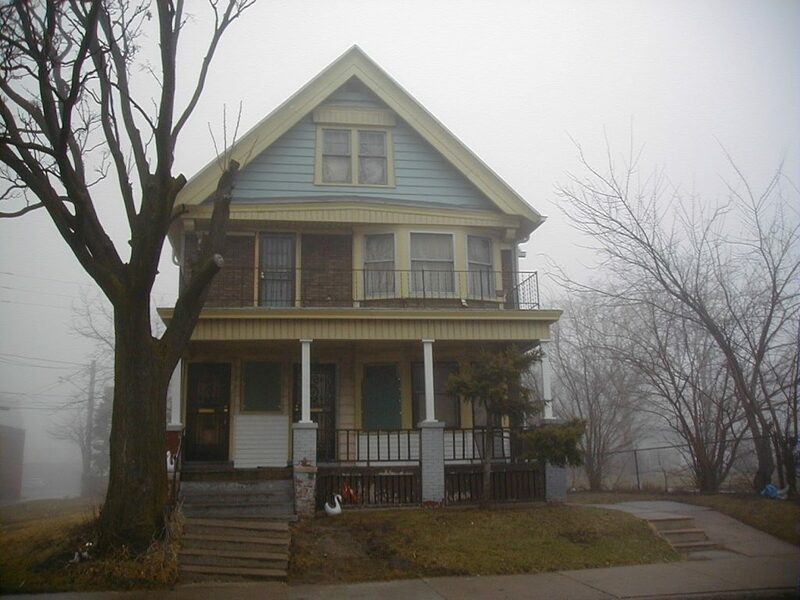 Boarded houses, others in awful disrepair, and trash-filled vacant lots where good homes “used to be” bore stark witness to how far the neighborhood had declined over nearly four decades of job losses and deepening hardship for people in this Central City neighborhood. Lindsay Heights neighbors combined their skills in carpentry, electrical, and good old fashioned sweat equity to restore the Walnut Way home. Other neighbors stepped up to report criminal activity to authorities. One defied drug dealers by refusing to let them hide guns and drugs from police on her property, then stood her ground when they shot at her feet. Another, not from the neighborhood -quiet, reserved, determined- bought one of those vacant lots and built a new home next to the school. She, like others, invested her time, talent, hard-earned assets and courage to drive out crime and restore the neighborhood. Even after night-time thieves tried to frighten her away with repeated break-ins, she stayed as a shining example to many others who followed her lead and built new homes too. Co-founder Larry Adams and neighbors planting the first peach trees in vacant lots next to the Walnut Way Center. Today, we produce several hundred pounds of fruit from our orchards annually including pears, cherries, and apples. In the early beginnings, residents, young people, business owners, non-profits, and a range of other stakeholders created a vision of what Lindsay Heights can be. By working deliberately and systematically to “connect the dots,” we hope to revitalize our community for the benefit of all our neighbors. Developed by over 200 residents and partners, the Lindsay Heights Quality of Life plan sets our vision and guides our work in health and wellness, economic prosperity, and environmental stewardship. These efforts are supported by the Zilber Family Foundation. 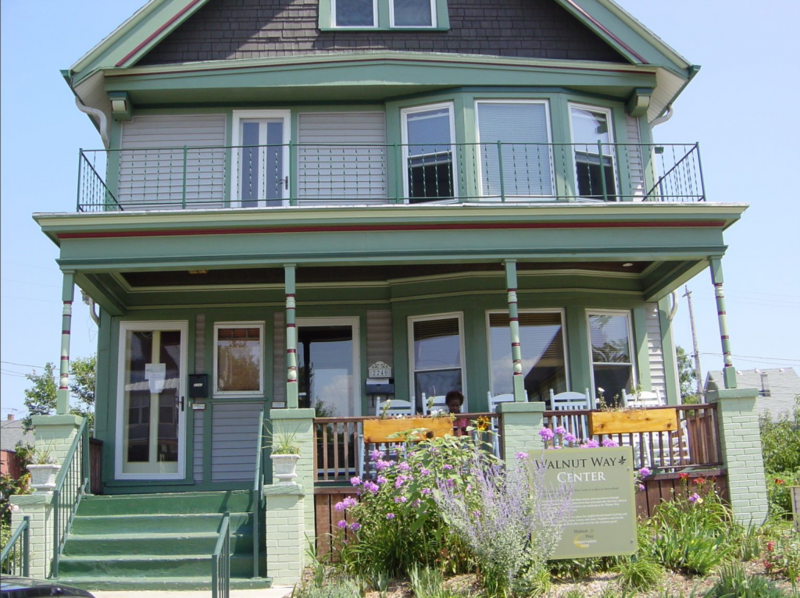 In 2008, the Foundation announced a ten-year, $50 million commitment to improve the quality of life in Milwaukee neighborhoods, starting with Lindsay Heights and Clarke Square. View the Lindsay Heights Quality of Life Plan. Through the hard work of many, the Walnut Way campus has grown to become an innovative center for environmental stewardship and urban revitalization. See what we’ve been up to in our latest Annual Report. Officially chartered by residents in 2000, Walnut Way engages neighbors in making our community a place of destination. 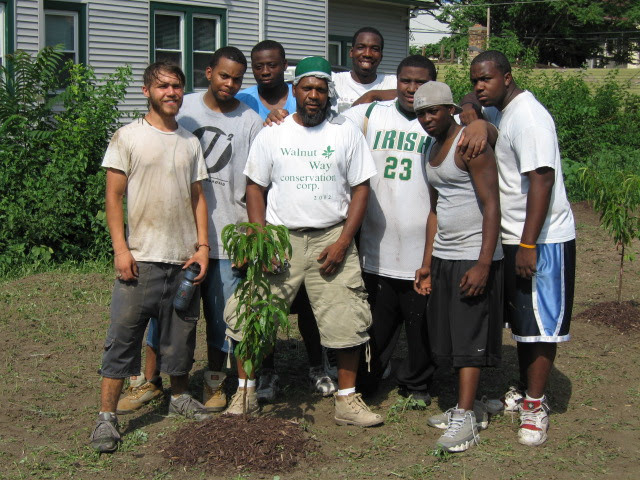 Since our purposeful beginnings, we have restored dilapidated homes to quality housing, built a vibrant community resource center, transformed vacant lots into gardens & orchards, strengthened neighborhood safety, developed the Innovations and Wellness Commons for economic development, and pathways to meaningful employment through our Blue Skies Landscaping Program, created innovative wellness programs for men and women, and engaged residents of all ages in neighborhood revitalization activities.